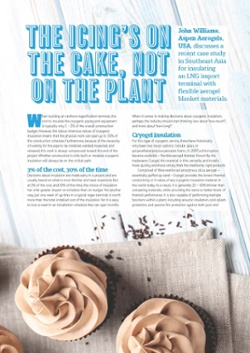 Unmatched in sub-ambient, cold cycling and cryogenic applications, Cryogel® Z is flexible aerogel blanket insulation engineered to deliver maximum thermal protection with minimal weight and thickness, making it the first choice in cold conservation for the LNG market. 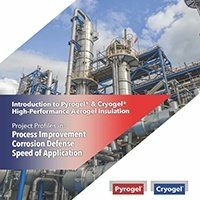 It incorporates an integral vapor retarder with zero water vapor permeability to ensure mission-critical asset protection. 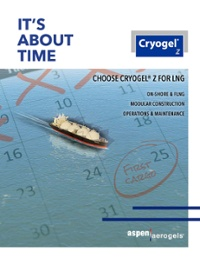 Why Cryogel Z for LNG? Flexible industrial and commercial insulation for sub-ambient and cryogenic applications. 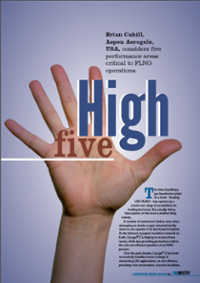 Click on the Technical Data tab above to view datasheets, brochures, case studies, videos, and more. Need more information? 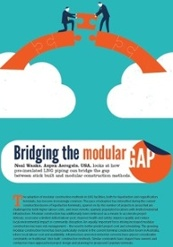 Want to connect with an industry expert who can help you solve your LNG insulation challenges? Contact us today!